SMILE, a new space mission to study the impact of the solar wind on the Earth's magnetic environment, has been incorporated in the European Space Agency (ESA) Cosmic Vision programme and received additional funding from the UK Space Agency. 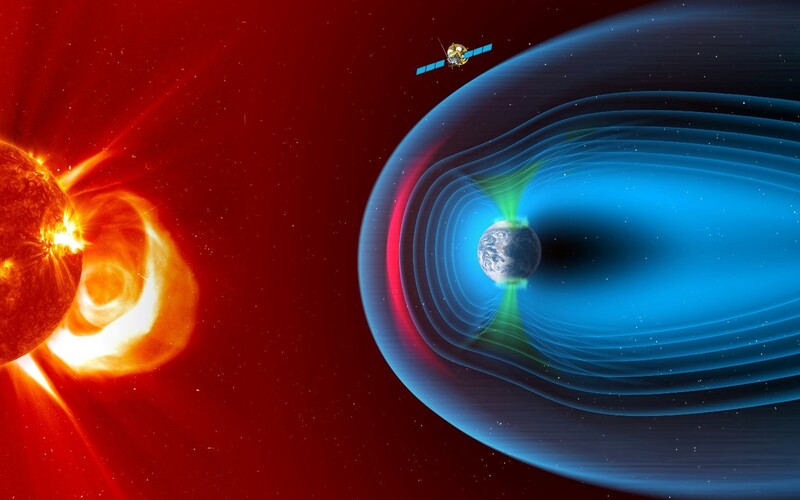 Jointly developed by ESA and the Chinese Academy of Sciences with major UK involvement from UCL, SMILE (Solar wind Magnetosphere Ionosphere Link Explorer) will explore scientifically what drives space weather and provide valuable knowledge that will eventually help mitigate its effects. In particular, the SMILE mission will study how the solar wind interacts with the Earth's magnetosphere, which can impact on satellites, power grids and communications networks integral to our modern lives. Professor Graziella Branduardi-Raymont, SMILE mission Co-Principal Investigator at UCL Mullard Space Science Laboratory, said: “Space weather remains one of the biggest risks facing humanity and SMILE will make a fundamental contribution in furthering our scientific understanding to help mitigate its impact. I am thrilled that we have achieved this significant milestone in the development of SMILE and the mission is now incorporated in the ESA Cosmic Vision programme. Additional funding worth £7 million was announced today by Science Minister Chris Skidmore to ensure UK scientists play a leading role in this new space weather science mission. The funding will be used to develop a Soft X-ray Imager (SXI) instrument, being led by the University of Leicester, with scientific mission leadership at UCL Mullard Space Science Laboratory, and support from the Open University, ahead of launch in 2023. Professor Paul Monks, Pro-Vice-Chancellor and Head of College of Science and Engineering, University of Leicester, said: “We are delighted to be leading the development of the SXI instrument at the University of Leicester, building on our long heritage of cutting-edge space research and instrumentation. The new funding from the UK Space Agency brings the total UK investment in the SMILE instruments to £10 million and will build on the significant expertise found in universities across the country in the design and development of cutting-edge space science. The Science Minister also announced the UK’s agreement with partners including the European Space Agency in a second mission, called Planetary Transits and Oscillations of stars (PLATO), which is scientifically led by the University of Warwick and will search for Earth-like planets orbiting alien stars. Science Minister Chris Skidmore said: “These two exciting space missions are brilliant examples of the UK’s space industry’s innovation and expertise. National funding for these missions is in addition to the UK’s regular contributions to the European Space Agency’s science programme. Chris Lee, Chief Scientist at the UK Space Agency, said: “The UK’s involvement in the instruments onboard both of these missions underpins our separate industrial investment in SMILE and PLATO through our ongoing membership of the European Space Agency.